ICICI is one of India's largest private sector banks. To be perfectly honest – this was not a regular design challenge; it was far more challenging. And exciting. 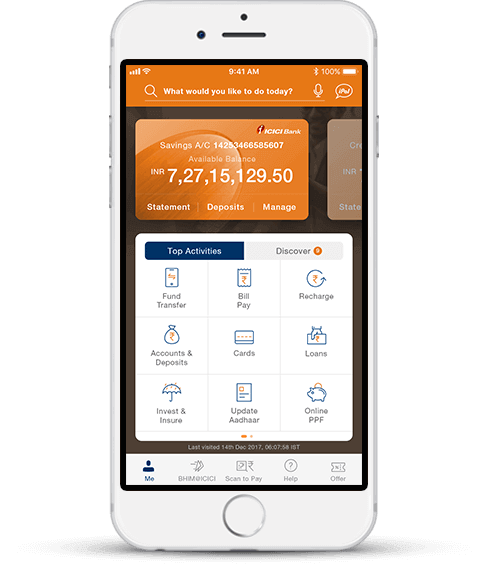 ICICI Bank wanted to revamp their personal banking app, iMobile for iOS. 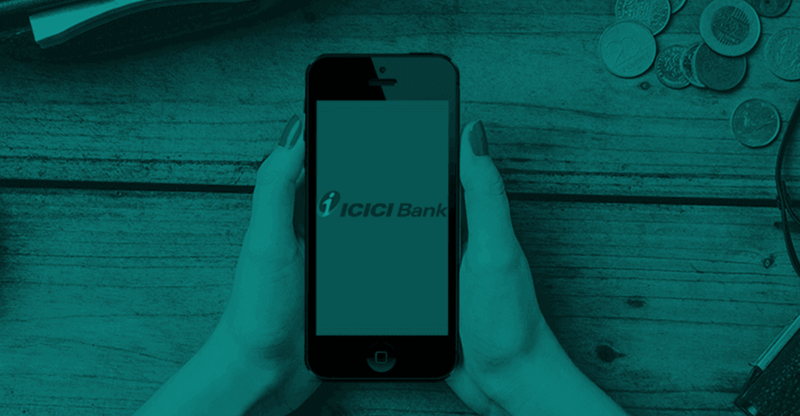 Being India's most popular mobile banking app, iMobile has for long been best-in-class already. To improve upon an app which is already well-regarded by customers needed guts, our client’s faith, and cake (for post go-live feedback celebrations). 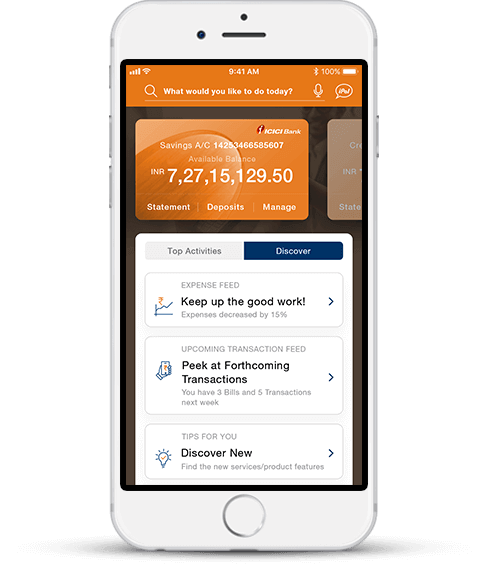 It required grave expertise in mobile banking UI UX design, and we were ready. Unlike most mobile app design companies in India, we were guided by numerical data from in-app analytics. Our heuristic evaluation inferred that iPhone users will appreciate a seamless experience better if the app could be cautiously rewired to follow Apple’s Human Interface Guidelines. 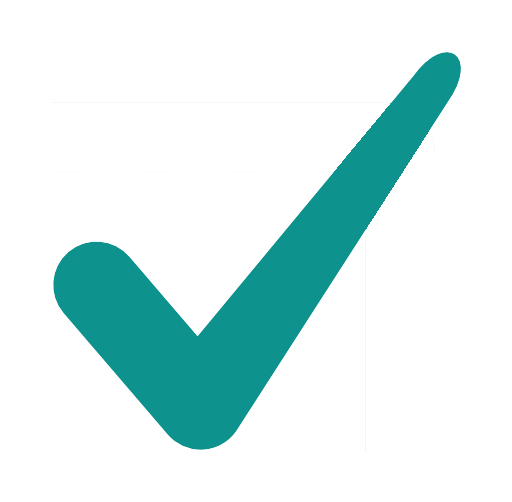 ScreenRoot made the bottom navigation band reappear after much debate and information like account balance, credit card dues, nearby branches, etc. was more upfront than before. Once logged in, users can seamlessly request for new services like loans, insurance, credit cards, etc. from the home screen directly. They can even track their requests rather visually, in real time. Gives a category-wise breakdown of expenses based on where and how the money was spent. 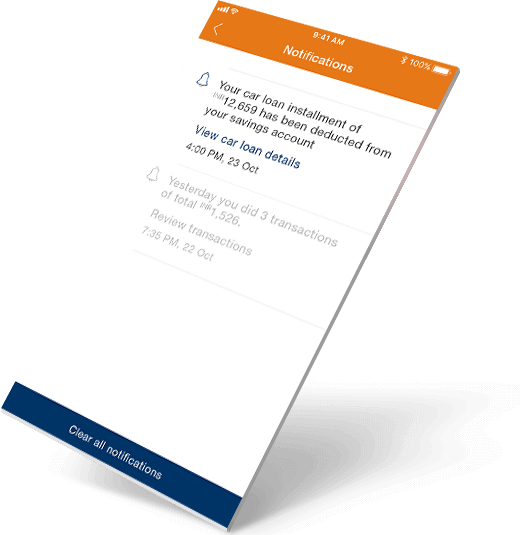 Analyzes spending patterns to pre-empt and prompt users with recurring transactions like EMIs, bills, rent, etc. 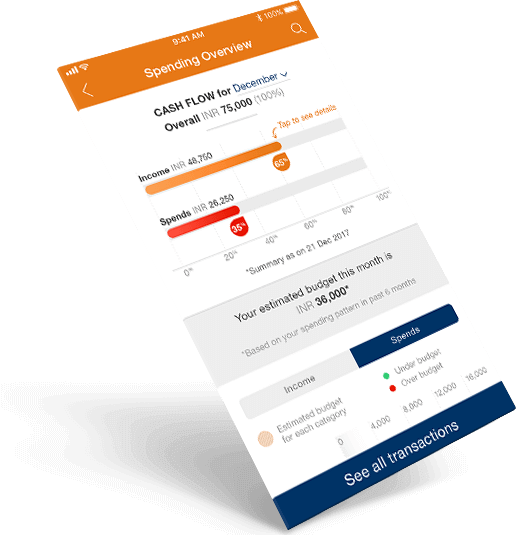 Gives delightfully visual and easy-to-digest monthly comparisons of expenditures, while allowing users to set monthly budgets. 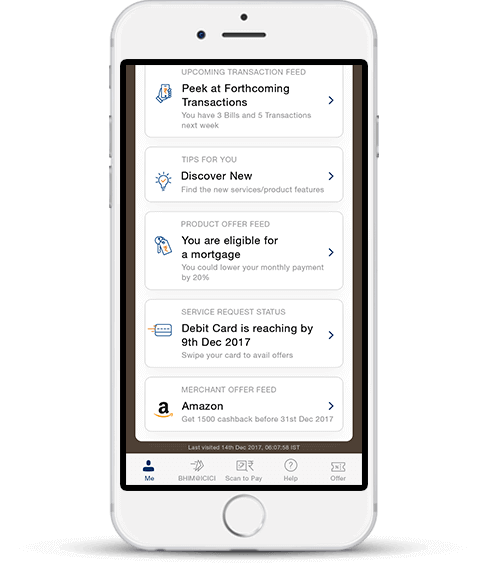 According to the 2017 Connected Banking Customer Report by Salesforce, 37% retail customers look for a personalized experience while choosing a bank. 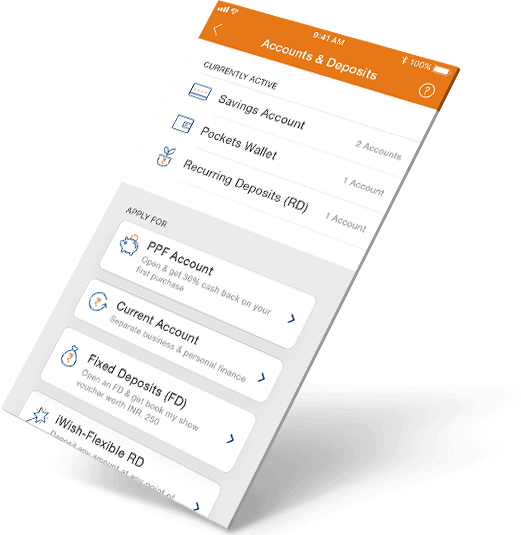 The app dynamically suggests actions based on cash flow data. Users can even customize their login factors to fingerprint (Touch ID), Face ID, or the traditional mPin. All offers they see are relevant and contextual to their spending patterns and geography. 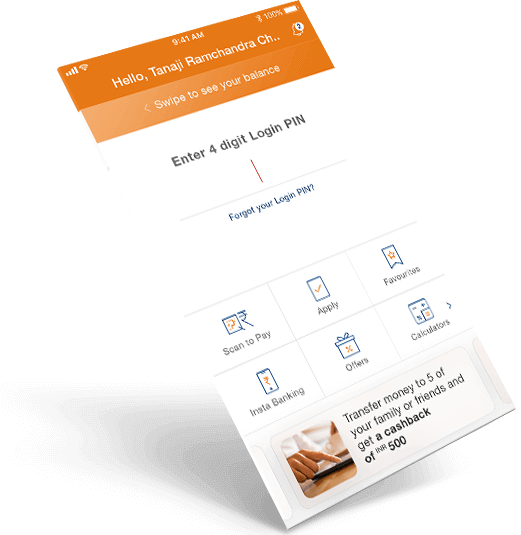 According to the 2017 Connected Banking Customer Report by Salesforce, 37% retail customers look for a personalized experience while choosing a bank. 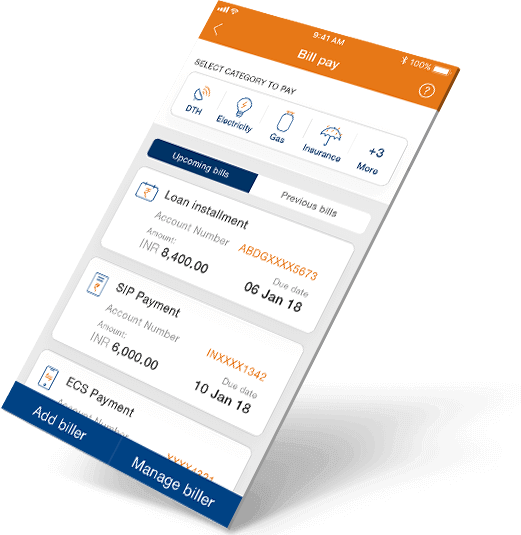 The app dynamically suggests actions based on cash flow data. Users can even customize their login factors to fingerprint (Touch ID), Facial ID, or the traditional mPin. All offers they see are relevant and contextual to their spending patterns and geography. 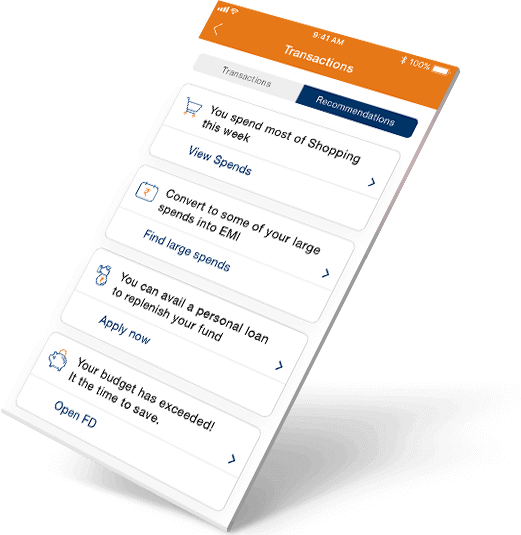 Crafting an exceptional mobile banking experience requires time, resources, and of course, capital investment. Basically, catching up with the ever evolving smartphone features with frequent upgrades is far from feasible for a complex organisation. Hence, ensuring that the interactions (and features that enable them) remain relevant in the years to come was bold on our agenda. Integrating our UI UX framework with simple yet trending features like payments via Siri (voice enabled) and QR codes; login via Touch ID, Face ID, and voice recognition; and Siri-enabled in-app voice search, helped us make the iMobile app ready for the future.